There are few things more frustrating for employees than being in a workplace devoid of collaboration and connection. 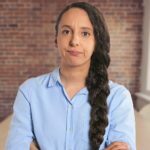 This past year, Financial Times reporter Emma Jacobs noted the importance of identifying loneliness in the workplace. 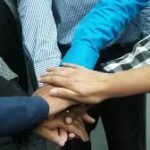 With that in mind, we reached out to various experts to get their advice on how individuals and management teams can foster an environment of teamwork. Many of us have become accustomed to keeping our work life separate from our private lives. But, according to Shawn D. Madden, CEO of corporate events company FunCorp, building those connections improves your frame of mind and strengthens the workplace. “Friends will do more for another friend in a week than they will do for a co-worker in a month, so your teamwork and productivity will improve as you build social connections,” Madden said. Harvey Deutschendorf, an emotional intelligence expert and a regular contributor to Fast Company, said part of building a team is having employees who look beyond themselves when they walk into the office every day. An employee who sees themselves as larger than their role should be handled with a genuine, positive spirit, though. Someone who becomes obsessed with overachieving for overachieving’s sake will most likely alienate their team instead of bringing them together. As we mentioned in the previous section, overachievers who push themselves for the wrong reasons will be a detriment to their team, not a benefit. One of the best ways to avoid that is to come into work with a genuinely positive attitude; not a façade, but a genuine spirit of optimism, says Deborah Sweeney, CEO of MyCorporation.com. “Do whatever you need to before arriving — whether it’s exercise, grabbing a coffee, or meditating — so that when you arrive you’re in good spirits and ready to work with your team,” Sweeney said. One of the quickest ways to turn your workplace into a purposeless void is to treat coworkers as roles and not as real people, workplace engagement strategist and coach Lisa Barrington told us. We often view success as something that happens when you accomplish your goals on your own. Asking for help is seen as a weakness. However, says Dan Stones, a team dynamics and workplace culture specialist, asking for help is a crucial element to building a strong sense of teamwork among employees. Exactly why is asking for help so powerful? Stones said it’s a matter of trust. There’s a lot of good sense in what the experts told us about teamwork. Some of it may seem idealistic and nearly impossible considering the environment in your workplace. But, as Tephra Miriam, a communications expert and author, reminded us, the price of a fragmented workplace is dangerously high. One of the things that made McDonald’s such a revolutionary business is the concept of planning the work area. The original owners of the business were meticulous with the way they organized locations for the grill, fryer, shake makers and pass-thru. They realized an important principle: Design influences productivity. That principle is one of the main reasons we emphasize planning as part of our business process. We work with companies to determine which layouts function best for their productivity and workflow objectives. 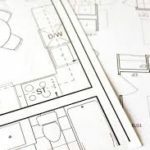 Knowing which type of design will work for you is much easier when there’s a basic understanding of how your office plan influences your daily life at work. If you’ve ever moved into a new home, figuring out how to configure your furniture and electronics can be tough. The goal is to organize everything in a way that makes movement and communication easy. Offices aren’t that different; your planning needs to consider movement, communication and several other work-related factors like desk size, collaboration space and break rooms. The days when all workers were considered drones with unilateral personalities are gone. Companies are devoting more time to understanding how their team members think and how each personality influences performance. As a result, office planning has, in some circles, trended toward providing a workspace that meets the needs of extroverts and introvert. In an interesting read from Fast Company, reporter Anjali Mullany talks about designing an office space that provides personality-soothing spaces for social butterflies and those who like to keep to themselves. “Noise, interruptions, and lack of privacy are definitely a problem in open workspaces, and not everyone in an office works the same way or does the same work–which is why giving workers many options in a space is key to open office success,” Mullany wrote. The history of office workstations is an interesting one, to say the least. Cubicles have been around since the ‘60s and, while they have a poor reputation in popular culture, their emergence was actually pretty revolutionary. They were first intended to provide the worker with a comfortable workstation that afforded them enough privacy to focus on their work and increase productivity without feeling trapped. With the emergence of tech startups in the ‘90s and ‘00s, traditional “cubicle farms” were shunned for open-office concepts that, according to some, improved creativity and collaboration. In recent years, though, research has been coming out proving that open offices may not be as effective in promoting creativity and productivity as once thought. The bottom line is that office planning should focus on who your company is and not trendy office design philosophy. Trends change faster than your company’s personality. Find the right fit for you; don’t fit your organization to cubicles or an open-office layout just because that’s what everyone’s pushing. One of the things we’ve learned as we’ve worked with hundreds of companies in Louisiana is that office planning isn’t a canned process where the planner pushes an agenda that’s divorced from the needs and nuances of the client. Stop by our Space Planning page to learn more about what goes into our planning process and why, in the end, what we install in your workplace is appropriate for your expectations and needs. In just a few months the cubicle will hit its 54th birthday, a rather innocuous milestone for what’s turned out to be a hotly contested aspect of office life. Your perception of the cubicle can take many forms. You may be part of the Office Space crowd; cubicles, as far as you’re concerned, are death. Or, you might be a student of history and say that the cubicle, in its original form was a beautiful design concept intended to make your work life accessible, comfortable and private. Wherever you stand on the cubicle-opinion spectrum, there’s no denying that these walled office workspaces have a clear beginning proceeded by a colorful history. If you’re a fan of high-end office chairs then you’ve probably heard of the name Herman Miller, the company responsible for the Aero, arguably the single most important piece of office furniture ever invented. The Aero brought a new level of comfort and support to the office-chair world, revolutionizing the relationship between workplace form and function. Herman Miller designer Robert Propst had hoped to bring that same design revolution to the workspace. He worked on something called the “Action Office”, which was meant to be a way for workers to see their workflow with new eyes. Despite Propst’s elegant concept for an individual workspace, companies weren’t interested in buying the Action Office. In fact, History.com pointed out that the Action Office was more popular with individuals who worked at home than actual companies. After the disappointing debut of the Action Office, Propst introduced the Action Office II, a cubicle that featured the acoustical panels you often see today in modern office environments. Pretty soon, knockoffs started to appear; knockoffs built with lower quality materials than what Propst envisioned. What happened after that was the basis for the negative perception for cubicles. Companies started to cram their employees into cramped cubicles to maximize space. Add to this mix the fact that energy efficiency regulations created more airtight office spaces, History.com pointed out, and workplaces became boxed-in work farms chugging along with uninspiring designs and recycled air. Those years of stuffy offices and cubicle farms are, for the most part, behind us. Companies large and small have adopted the open-office spaces that were popular in the ‘50s and ‘60s – remember those huge open floorplans in Mad Men? Workplace designers have taken a holistic approach to office concepts, asking themselves how they can provide open spaces, quiet corners and community areas where employees can connect with one another, be creative and focus on their work all at the same time. The idea is pretty incredible but the science says that it’s virtually impossible to remove office privacy and increase productivity and creativity. The brain has a basic need for privacy. When it has privacy – spatial and auditory, specifically – it’s able to think clearly and work more productively. For that reason, we offer a wide variety of office solutions for companies that are looking for a straightforward solution for maximizing employee productivity. Contact us today to discuss what you need. We are one of Louisiana’s longest-standing office furniture companies. Our lineup of products includes new and used pieces that can, with a little planning and expertise, revolutionize the way your office works. Executive furniture says a lot about the leadership of your business. Big, commanding desks that create space between the executive and the guest or employee indicates a power move, while an office with a normal-sized desk and a sitting area is a little more friendly. 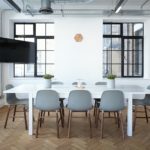 It’s hard, though, to pin down a person or company by the type of desk they have because there could be complete surprises as it relates to the person in power and their workspace. 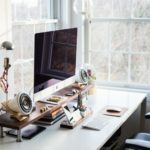 Being the followers of office trends and executive desks that we are, we looked at an article from Business Insider that highlighted the desks of 39 well-known business execs and entrepreneurs. Some of what we saw surprised us. In this post, we’re going to highlight some of the more interesting things we noticed in this article. The first photo we looked at was of Arianna Huffington’s office. Now, we’d expect the editor-in-chief of a Pulitzer-winning publication would have a somewhat roomy office, but that’s not what we found. Huffington’s workplace is a cramped alcove with two bookshelves, at least 100 books, a small sitting area and a modest desk you’d expect to find at an antique store. On top of that, her office has a wall-to-wall window through which everyone can see her. Curtains add some privacy, but they were drawn back in the photo we saw. If Arianna Huffington’s desk is small, then Sequoia Capital’s Michael Mortiz’s workspace is microscopic. Moritz’s desk is sparse. The venture capital guru’s desk is home to a Mac laptop, an iMac desktop, chocolate, a shot bottle of whiskey, a bottle of Pellegrino and a pair of analog clocks. His desk is one among many desks in one room – a corner office seems to be out of the question. What surprises us most about this is fact that Moritz’s simple desk belies the billions of dollars the company has made from investments in Apple, Google, Yahoo and LinkedIn. Here’s an apt description of the company’s offices, via Forbes contributor George Anders. So, Adler works from his home office, which is comprised of a standing desk with a view of his backyard. Adler told Business Insider he doesn’t get any work done when he’s looking at the ocean from his home, which is why he chooses to work with a backyard view. Hurst, like Huffington, has his own office separate from other employees. This is the same type of response that Huffington gave – transparency and a lack of barriers are important to executives. Hurst’s office also includes a bookshelf, a floor-to-ceiling mirror and a small sitting area along with a metal desk that’s home to a lamp and two monitors. As you’ve probably gathered, there really is no right or wrong desk for an executive. In these examples, the magnitude of the business and/or the power of the person didn’t really influence the size of their desk. In fact, there was an inverse effect. Arguably the most valuable person on the list, Michael Moritz, had the simplest work desk: uncluttered, clean and underwhelming. We’re aware of how executive desks have changed and our inventory reflects that. Stop by our Executive Furniture page to learn more about what we offer. Here’s the scenario: Your office is growing, your furniture is old and you want to buy or lease new office furniture. What do you do? Are there buyers of used furniture in Louisiana? The answer to those pair of questions is straightforward. You should sell your furniture to a used furniture buyer. Yes, there are plenty of ways to sell your used office systems in Louisiana. In this post, we’re going to detail a few of the ways that you can make some quick cash selling your old furniture before bringing in your new desks, dividers and chairs. Believe it or not, Craigslist is a great site for selling office furniture (and just about anything else). 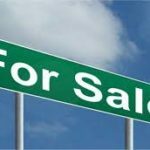 You can browse through listings in nearly any city and find individuals or companies selling off cubicles, chairs and other equipment because of closure or relocation. The reason we call this the time-consuming method is because you’ll have to devote a significant amount of time to cleaning and repairing your furniture if you want to get a fair price for what you’re selling. Craigslist and similar websites are notorious for attracting low-ball offers and furniture that’s in disrepair, dirty or otherwise unattractive to the eyes will attract those low-ballers. The key to this entire process is time: Do you have enough of it to do an effective job of prepping your furniture to get top dollar? Technically, this isn’t “selling” your office because you aren’t getting paid for what you donate. However, the benefit of this method of getting rid of your used furniture is ease. All you have to do is call the local Goodwill or Habitat for Humanity and let them know you’re bringing in a formidable collection of office furniture. There are two main drawbacks here. First, you obviously aren’t getting paid for your furniture, which means this may not be the best move if capital is an issue. However, what you may not have thought about is how you’ll get your office furniture to the local Goodwill. If you’ve got a big office, then it may take more than one truck to get the equipment where it needs to go. When you factor in the manpower and rental fees required to move an office full of furniture, the cost is quite high. Consider that as you make your decision. Though selling your furniture on an online classified site like Craigslist may take a day or two of work to prep your furniture, the fact that you’re getting paid makes it far more worthwhile. We’ve been in the business of buying used furniture for decades and we find it’s a great way for us to augment our used inventory and help offices unload their used furniture as they try to upgrade, downsize or liquidate. All we require to move forward with the purchase is photos of the equipment you want to sell and an estimate of how many items you want to sell. As for our purchase radius, we buy office furniture in the New Orleans metro area, Baton Rouge and all of Louisiana. Our only caveat is that we don’t usually buy small quantities of furniture. 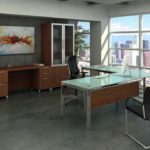 We’ve presented the three different options you have for selling your used office furniture. Using a classified site has the advantage of possibly getting a good payout for your equipment, but the man hours it takes to make the sale are a definite negative. Giving your office furniture to non-profit stores like Goodwill and Habitat for Humanity is an altruistic endeavor with high costs for transporting your furniture. The final option, selling your furniture to the Office Planning Group, doesn’t require much effort on your part and can garner a good payout pretty quickly. If you want to know more about how we buy used office furniture in Louisiana, stop by our website or give us a call at 504-684-5244. For the past few years, business websites have fallen in love with the forward-thinking open-office designs of tech giants like Google and Facebook. There’s been a very distinct push among progressive companies to transform the office from a cubicle-heavy workplace into what basically amounts to a labor-intensive studio apartment. Fridges, snacks and gourmet coffee machines are mandatory. Lounge chairs, bean bags and picnic tables are common. Entertainment-break rooms are the new wave. The whole point of this movement, many people would say, is to spur creativity and collaboration. Fewer walls and offices and less separation leads to a collaborative environment where people can interact with different departments in a fluid manner. Recently, though, the pendulum of office-design history has started to swing back to the middle. Forbes, The New Yorker and BBC have all featured intelligent arguments against open offices, with the BBC’s most recent piece carrying the title “Why Open Offices Are Bad for Us”. The BBC article we’ve mentioned a few times was written in January 2017 and was based on the experience of a U.S. business owner named Chris Nagele. Four years ago, the article states, Nagele decided to go with an open-office concept to transition his work-from-home team to a collaborative environment. The experiment was short-lived – according to the article, Nagele moved his team into a traditional office space where each office had a door on it. But the stats and facts listed in this article are just the beginning. In their January 2014 article about the dangers of open offices, The New Yorker dug into several research papers to understand why the quickly growing trend may not be the best for workers’ productivity. One of their key points was that our brains need a sense of spatial privacy in order to feel psychologically private enough to think, create and work effectively. The article, which was published in The Academy of Management Journal, reviewed the results of a trio of studies on how privacy both in our workspace and our mind can impact our job satisfaction. “Results of all three studies showed architectural privacy associated with psychological privacy. Both forms or privacy were associated with satisfaction with workspace and job satisfaction,” concluded the authors of the 1980 article. The final counter-argument to the open office craze comes from a 2016 Forbes article from contributor David Burkus. In his article, Burkus talks about the results of a 2005 study that recorded 42,764 observation from 303 offices in the United States. The biggest complaint from open-office employees was the level of noise they had to deal with on a daily basis. Another 25% to 30% said they didn’t like the noise levels in their open-office plans. If you’re starting to rethink the value of open offices and want to make some changes, contact us. We have a variety of privacy solutions that can drastically cut down on workplace distractions and improve efficiency and focus. You’ve done it. 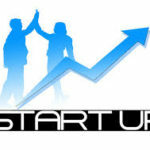 You’re startup. Your brainchild is growing up. You’d love nothing more than to sit back, relax and let nature run its course. Alas, just as a parent’s work is never finished, so too are the continued responsibilities of a new business owner. Now that the dust has settled and breaking even is behind you, it’s time to start investing in the future of your company. It’s understandable to want to keep your burgeoning business close to home. You’ve come this far, so it might be difficult to imagine what was once a fledgling idea, has now come into its own and is bursting at the seams to grow and expand. We’ve gathered up a few tips from experts to help move into this new phase of your business. As we mentioned in Part One of “What to Expect When You’re Expecting to Start a Business,” it’s never been easier to connect with motivated, talented individuals who have the potential to add to your vision. It’s easy to be over-protective about your project, but loosening up on the reins and enlisting some much-needed help allows you to focus on growth, rather than just keeping things afloat. As you gain traction, it’s harder and harder to cover all the components that keep the lights on and the revenue coming in. What worked when you were a one-man or one-woman operation may not necessarily work when you’re juggling a growing demand for your products or service, as well as the day-to-day minutia. It’s easy to get tunnel vision after the struggles of your startup, but there are ways to mitigate the rut. In “5 Tips for keeping your Startup Business Growing,” Forbes contributor Eric Basu highlights the value of continuing to organize your time and expectations right along with your budget. Goal setting ensures that you are always on track for the next stage of development in your business. If you’re lucky enough to have a team early on, goal-setting also allows people to see eye-to-eye on the direction of your company. Whether it’s daily for yourself, quarterly for your employees or yearly for the business itself, goals give everyone a common, concrete, and achievable vision. Growth often demands that you, at some point, consider scaling your business through partnerships, franchising and other avenues. It also demands that you take care of yourself – your body’s health influences all. In a 2014 article for Entrepreneur, reporter Karen E. Spaeder offered 10 practical ways to expand your business. Expansion can happen through licensing, franchising, forming alliances with companies offering complimentary services, diversifying and branching out into other markets. The possibilities are endless. It’s not as risky as it sounds if you’re careful and well-researched and the benefits to your business’ financial future and longevity are manifold. “Choosing the proper (method) for your business will depend on the type of business you own, your available resources, and how much money, time and sweat equity you’re willing to invest all over again. If you’re ready to grow, we’re ready to help,” Spaeder wrote. We’ve talked about the health of your company, but one point that has been neglected thus far is your physical and mental health. It’s easy to say you don’t have time for yoga classes or gym memberships, but when passion is one of the biggest driving forces for entrepreneurs today, can you really afford not to find time? When you’re passionate about your business, it shows and spreads. There’s a positive correlation between passion for your work and success, and it’s harder to feel enthusiastic when you’re drained physically and mentally. Take the stairs, park a little farther away from the office, or watch a 15-minute yoga video online before work or during your lunch break. The health of your company is maintained through healthy habits. Give yourself the same level of care you put into your company as CEO and you’ll ensure vitality for years to come. You’ll decrease the chances of burning out so you can continue to manage and direct your startup.